Dr Shetter grew up in Lewiston, Michigan. His high school graduation class numbered thirty two students. He received his undergraduate degree from Middlebury College in Vermont in 1968. He attended the University of Detroit Mercy where he received his Doctor of Dental Surgery degree in 1972. He then entered the U. S. Army and provided dental care at Ft Bragg, NC for the 82nd Airborne and Special Forces. He also was an instructor in the Army Dental Therapist program. He left the Army in 1975 as a Major. 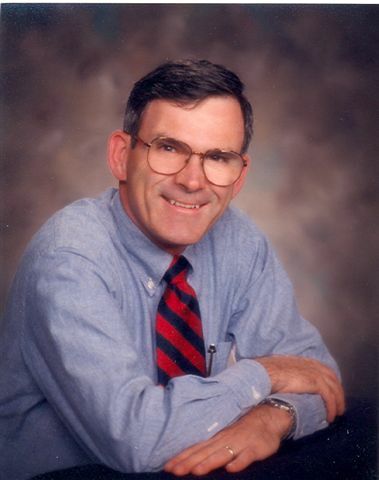 In late 1975 he and his wife Jan moved to Menominee, MI and began private practice. He recently retired from clinical practice in 2015 after 43 years in a partnership and multi office small group practice. Dr. Shetter has studied extensively at the Pankey Institute, been co-director of a Seattle Study Club branch in Green Bay WI where he has been a mentor to several dental offices. He has been a speaker for the Seattle Study Club. He has postgraduate training in orthodontics, implant restorative procedures, sedation and sleep disordered breathing. His practice is focused on fee for service, outcomes based dentistry. He is a member of the American Dental Association, Life Member of the Michigan Dental Association, and Member of the Wisconsin Dental Association. He is a Fellow of the Academy of General Dentistry and member of the International College of Dentists. He is active in a number of groups such as Rotary International. He is a past District Governor of District 6220 and was awarded the RI Service Above Self Award in 2002. He had his wife Jan have been host parents for seven Rotary Youth Exchange students. He enjoys hunting, fishing, boating and flying. He and his wife spend winters on the west coast of Florida. Marina Cove Consulting LLC is his effort to help other dentists discover emotional and economic success and deliver the highest standard of care they are capable of.